Preheat oven to 350 degrees and line a baking sheet with foil. Brown sausage and, while it’s cooking, remove the tops from the peppers, slice them in half lengthwise, and use a spoon to remove the seeds. 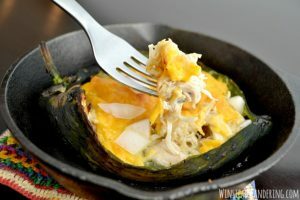 In a medium bowl, combine cream cheese, half a cup of shredded cheese, salt, and garlic powder. Drain the cooked sausage and add it in. 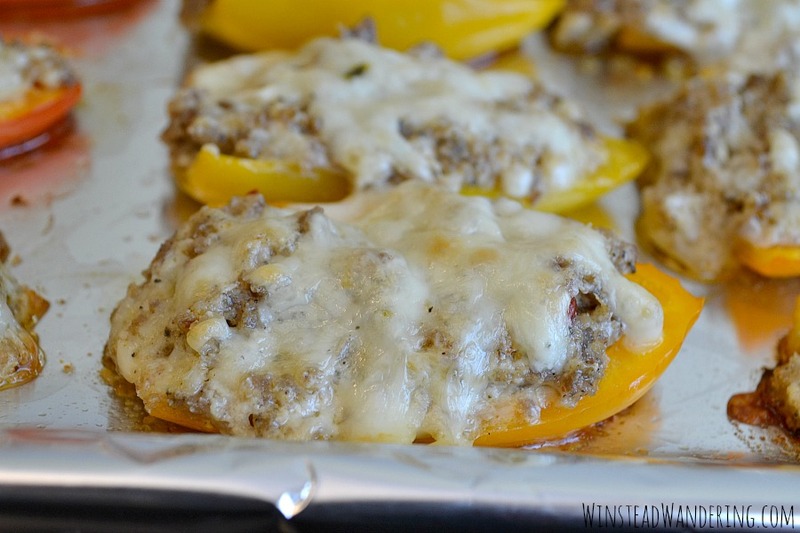 Fill the halved peppers will spoonfuls of the sausage and cream cheese mixture, and then place the peppers on the baking sheet. Sprinkle the remaining cheese over the peppers. 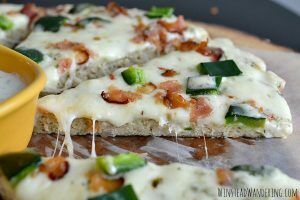 Bake for 18-21 minutes, or until cheese is melted and bubbly. I like to turn the broiler on for a couple minutes after the cooking time is up to get a nice golden color on the cheese. Just be careful, though, because you can go from golden to burnt quickly. You can use mild sausage, of course, or you can omit it altogether. Store leftover peppers in the fridge. For best results, reheat them in the oven. 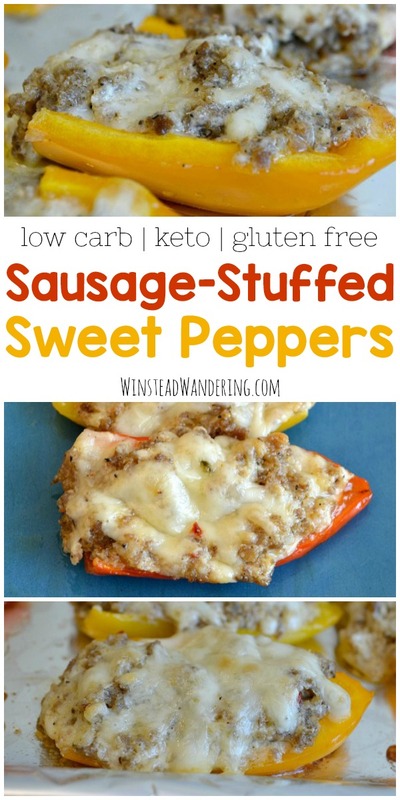 Pin this recipe for Low Carb Sausage-Stuffed Mini Sweet Peppers for later! 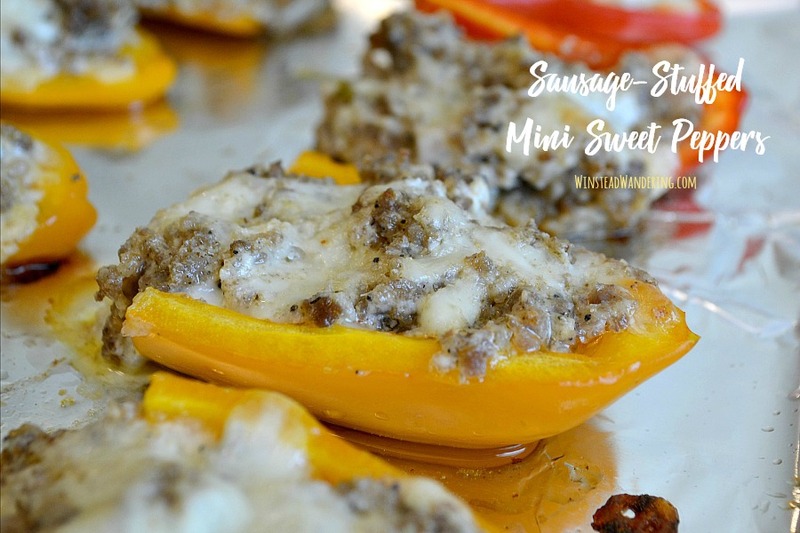 I love the idea of stuffing the mini sweet peppers as I have those in stock a lot more often! There’s just something so fun about anything miniature! 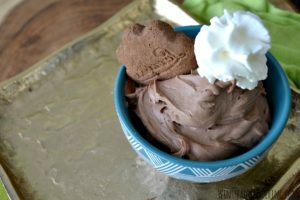 Isn’t it great when a low carb recipe doesn’t feel “diet”?